Preference will be given to applicants who serve or plan to serve as faculty members of state and private institutions of higher education in Indonesia and have not previously received any Fulbright scholarship. A Master’s degree with a minimum GPA of 3.0 (on a 4.00 scale). A good understanding of Indonesian and other cultures. A deep commitment to the chosen field of study. A determination to return to Indonesia upon completion of the Fulbright program and to take up academic positions in higher education upon their return. A minimum ITP TOEFL score of 575 or IBT TOEFL score of 90 or IELTS score of 6.5. Please note that TOEFL prediction or TOEFL-like score cannot be accepted. 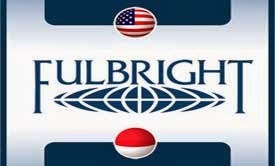 All disciplines and fields of study are eligible for a Fulbright award. The fields of study covered by the Fulbright scholarship program in the past were limited to the Social Sciences and Humanities. Since 2004, however, the policy has been changed to include also other disciplines with the exception of fields related to patient care or medical training or to continue their study at medical school. Completed application form. This includes a clearly written and concise one page study objective and three to five pages research proposal. Copy of your most recent, less than two year old, ITP/IBT TOEFL or IELTS score report. Two letters of reference, from a lecturer/professor and work supervisor who know you well. Copy of academic transcript (English translation). Copy of identity document (KTP or passport). Specific questions regarding the application process may be addressed via e-mail to the following address: infofulbright_ind@aminef.or.id. We do not accept email applications. Hard copies must be sent or delivered to American Indonesian Exchange Foundation. The deadline for the submission of application materials for the program is April 15, 2014. Note: Program requirements are subject to change without notice. Demikianlah informasi mengenai Fulbright PhD Scholarships, American Indonesian Exchange Foundation (AMINEF), USA semoga berguna bagi anda.